At the time, Stewart’s mother, Reta, connected with two therapists, Myrna Schwartz, PhD and Ruth Fink, MA, CCC-SLP, who provided speech therapy and psychological support for his father, Marty, before the Aphasia Center was formally established. 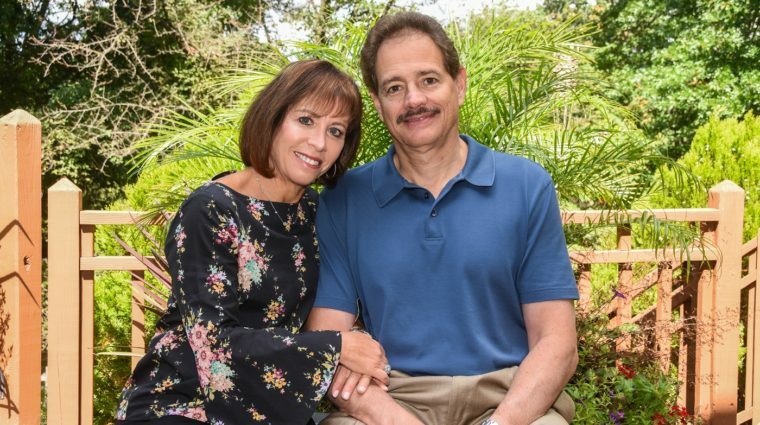 After Marty’s passing, Reta continued her relationship with Schwartz and Fink as they formalized and founded the Aphasia Center (Voices of Moss Rehab Aphasia Center, also known as VOMAC). Reta also became a devoted volunteer. Stewart and Sally understand what aphasia is and how it impacts lives, and they want to try to make the road a little easier for those affected and their families. They have been active with the Aphasia Center for years as both hands-on volunteers as well as philanthropic supporters. For them, it was natural to continue their support of VOMAC and the leading-edge work being done there, and to honor Reta’s dedicated volunteer efforts. In 2012 they spearheaded, with the help of family and friends, the project that established the Reta Eisenberg Fund supporting the Activity Center at the Aphasia Center. Now, they have continued their tremendous support of VOMAC by endowing Reta’s Games Group, a weekly program where aphasia patients play games of all kinds, practice their language skills, and socialize, all in a fun and welcoming environment. “My mother has helped give a face to aphasia by spreading the word of all the great work being done at VOMAC. Sally and I continue to encourage as many patients as possible to take advantage of and benefit from the programs offered by the Aphasia Center. We want to make a difference in the lives of others the way our mom has, and could think of no better way to do so than by supporting what is so near and dear to her heart,” says Stewart. For Susan and Hal Michels, long-time benefactors of MossRehab and the Aphasia Center of The Moss Rehabilitation Research Institute, the answer to that question is easy…family. It wasn’t until after he passed away that the Aphasia Center at MossRehab began providing therapies and support for those with aphasia. Using the experience she had with her husband, Susan’s mother, Pearl, began volunteering to help others. As one of the founding members of VOMAC she helped organize an enthusiastic group of volunteers who would coordinate events, run group activities, spearhead fundraising events and advocate for aphasia awareness. After her mother passed away in 2013, Susan became a dedicated VOMAC member. “Through my work with VOMAC and MossRehab I am able to carry forward the memories of both my mother and my father,” explains Susan. Recently, the Michels made a significant gift in support of the Talking Book Program in recognition of the work started by Pearl. 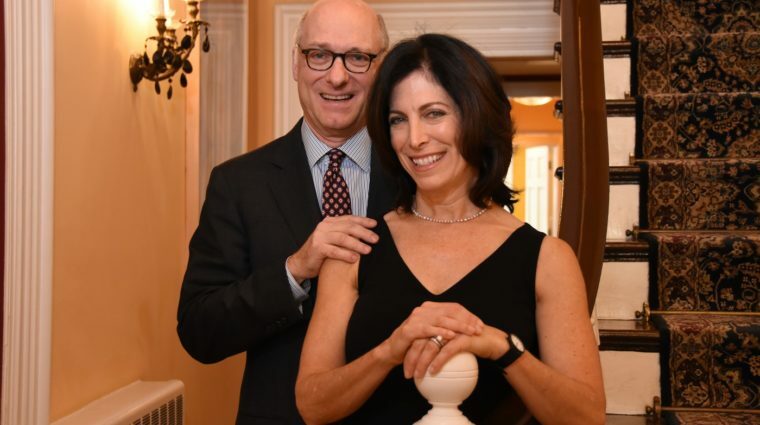 This expands upon previous generous support through the Martin & Pearl Kaplan Lecture Fund initiated by the Michels and Kaplan Families in memory of Susan’s parents. Through their generous support, those who face the challenges associated with aphasia will have a place with resources and support as well as a community that understands and is ready, willing and able to help. If you are interested in learning more about ways to support the Aphasia Center at MossRehab, please contact Mary Detwiler at 215-663-6344 or detwilem@einstein.edu.